Hoping to get back on the winning track, the Spurs traveled to Houston to take on the Rockets on Friday night. After a roller coaster of a game, San Antonio fell by a final count of 111-105. Following a streak of nine straight wins, the Spurs have now lost two straight and their 42-31 record has them standing as the eighth seed in the Western Conference. In the first half, the Spurs didn’t play hard or smart. They fouled too often, their big guns were missing in action and their transition defense was a mess. In fact, San Antonio was lucky to be trailing by only 15 points at intermission. The Spurs got down by as many as 19 points in the third quarter before they turned it around. They stopped fouling, upped their energy level and simply played a smarter brand of basketball. Entering the fourth quarter, the Spurs and Rockets were tied at 81-81. The opening minutes of the deciding period were tightly contested. Eventually, the Spurs got some separation and led 100-94 with four and a half minutes remaining. Unfortunately, a bad call that went against DeMar DeRozan totally changed the momentum of the game. 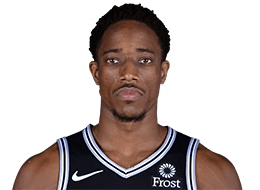 DeRozan had a jumper waved off that would have put the Spurs up by eight points when a referee mistakenly called him for an offensive foul for grazing James Harden’s beard with his elbow during a shot attempt. Instead of the Spurs going up eight points, Harden was able to put an exclamation point on his historic night by hitting three consecutive three-pointers to give the Rockets a three-point lead. All told, Harden scored 13 of the game’s next 15 points to complete Houston’s comeback victory. Overall, the Spurs played well in the second half and put themselves in a position to win the game. But it didn’t happen … and it wasn’t just because of that one missed call. Their undisciplined defense against Harden sent him to the line 17 times, which allowed him to get in rhythm and pour in a career-high matching 61 points. If the Spurs are going to make noise down the stretch, they need to get back to playing harder and smarter for longer stretches. In these past two losses, they’ve only put things together for small stretches at a time. That’s not going to get it done. Offensively, LaMarcus Aldridge was feckless in the first half – too soft, too timid and too indecisive. He was happy just going through the motions. Thankfully, he took Pop’s stern halftime message to heart and came out totally different in the third quarter. 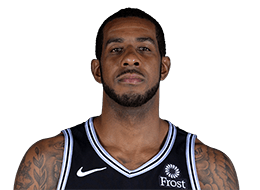 After missing all seven of his field goal attempts in the first half, Aldridge was 5-for-6 in the final two periods and his assertiveness was night and day. Defensively, he protected the rim well all night long but his perimeter defense was lacking and he didn’t offer much support on switches. Summary: Aldridge needs to start putting together full games again. DeMar DeRozan had another dud of a fourth quarter. In the first three stanzas, he had put together an all-around line of 12 points, eight assists and eight rebounds. But in the final period, he hit just two of his six shots from the field while his playmaking and rebounding dried up. Yes, he had a call go against him on that offensive foul but DeRozan needs to be mentally tough enough to play through such controversy on the road. Instead, he became even more inefficient. Silver lining: DeRozan’s defense continues to look improved. Let’s hope that becomes a permanent feature of his game. 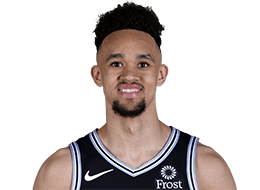 After a dreadful game against the Heat, Derrick White bounced back with a much improved outing against the Rockets. Defensively, he was okay. Yes, the player he was assigned to had 61 points. However, it was mostly not his fault, as Houston made it a point to set screens on White to force someone else to defend Harden. Then again, White fouled Harden on a three-pointer early that sparked a free throw parade and his D in transition was oftentimes sloppy. Offensively, White helped out by shouldering some of the scoring load. He played confidently and in control – but he still missed some easy shots and he wasn’t making plays as often as we’ve come to expect. Summary: White was better but still has room for improvement. 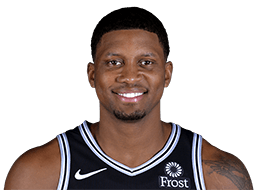 Friday night was a struggle for Rudy Gay. He was saddled with foul trouble for a lot of the evening. He was also not moving well out on the perimeter, which was painfully obvious whenever he attempted to play defense outside of the paint. Gay’s days as a capable perimeter defender appear to be numbered. Offensively, Gay never found a groove and failed to provide much aid. His most useful attribute tonight was his rebounding. Summary: Gay rebounded well and … that was about it. 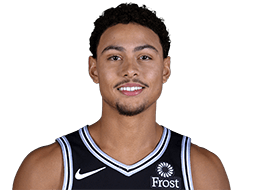 Bryn Forbes had been struggling lately but he delivered one of his most impressive offensive showings of the season. He was supremely self-assured from the opening tip. While going 3-for-3 from three-point range was helpful, it was Forbes’ driving and finishing in the lane that was most notable. He looked legitimately powerful and graceful going to the rim, which isn’t usually the case. Forbes was mostly okay-ish on defense but he mixed in a couple boneheaded mistakes, especially in transition and scramble situations. Summary: Forbes scoring 20 points on ten shots helped give the Spurs a chance. Well, at least he didn’t stop shooting. 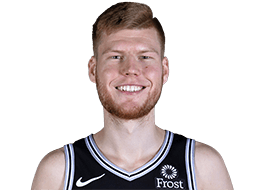 Davis Bertans finished 1-for-10 from the field, all of which were from three-point land. I liked the shots; they just didn’t drop. Bertans’ burgeoning off-the-dribble moves were better than usual tonight – and that led directly to him leading the bench with four assists. Defensively, he was solid. He stayed in front of dribblers and threw his body around. Summary: Bertans shot enough but didn’t make enough. It was a second straight solid performance from Marco Belinelli in a losing effort. His energy level was really, really good and he once again provided the squad with a boost. Belinelli’s movement was creating space for himself and others, while his running of the court was as hard as we’ve witnessed all season. Defensively, he was far from good but, again, he competed enough to mostly mask his deficiencies. 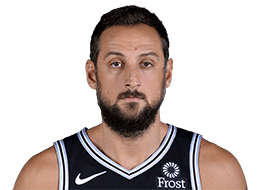 Summary: Belinelli was ready for game day. 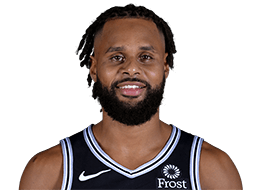 Patty Mills was a liability on defense but it wasn’t for a lack of effort. The Rockets were getting switches and they were smart enough to pick on Mills. Offensively, the Australian was mostly good. He probed, he pushed the tempo, he shot straight, he passed well and he kept his miscues to a minimum. Summary: Mills chipped in what he could. 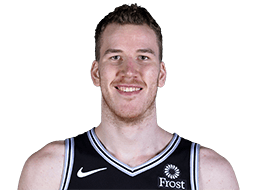 Coming off the bench for the first time since Pau Gasol left for Milwaukee, Jakob Poeltl didn’t disappoint. Minute for minute, I’m not sure what more he could have done. He was very good on the glass on both ends of the court. When a loose carom was up for grabs, he inhaled it. He was sturdy in the paint defensively and active outside of the paint. On offense, he exhibited good awareness and took advantage of his opportunities. 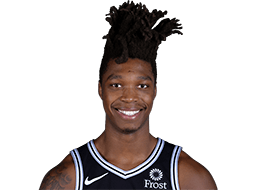 With the Spurs sleepwalking, Lonnie Walker IV got some first half action. He didn’t embarrass himself. On defense, he was active, attentive and wasn’t afraid to mix it up. He made mistakes but it wasn’t for a lack of trying. Offensively, he ran the court well, wasn’t bashful when given a driving lane and once again flashed NBA level athleticism. Walker didn’t win a spot in the rotation or anything like that but it was a good showing. It’s obvious that he’s successfully refining his game in the G-League. Summary: Walker gave the Spurs some life in the first half. 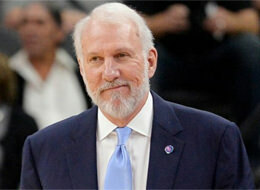 The Spurs responded well in the second half to Pop’s halftime speech. Playing Walker turned out to be a good move. On the other hand, the buttons Pop pushed down the stretch didn’t work. Not starting Poeltl is questionable in hindsight. Going with Bertans for extended minutes also ended up not paying off. Summary: Pop didn’t find the winning combination. Looking ahead: While there were some good stretches, this was a disappointing loss. It certainly wasn’t a moral victory, as it’s the point of the season where only wins and losses matter. Next up, the Spurs travel to Boston for the second game of this three-game road trip. While it’s not quite a must-win game, a victory would be huge. Otherwise, the Spurs could struggle to climb back out of the eighth seed.